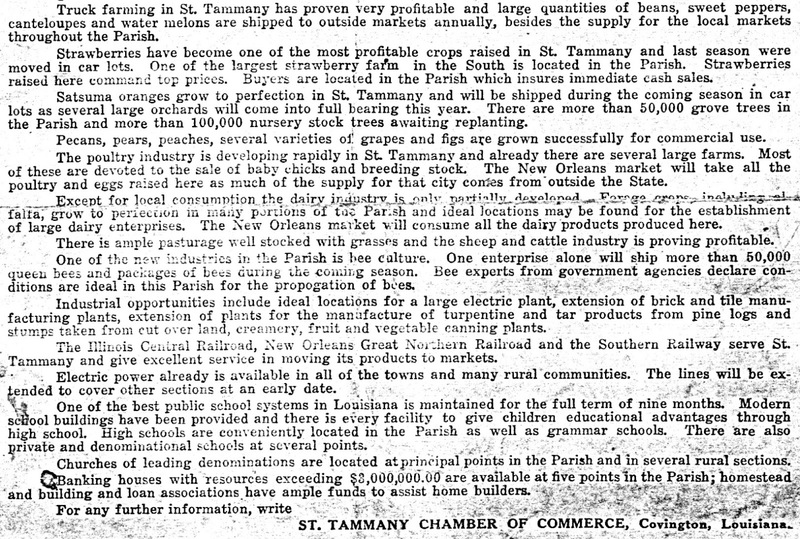 The St. Tammany Parish Chamber of Commerce had a lot to work with when it created a promotional magazine in 1920. 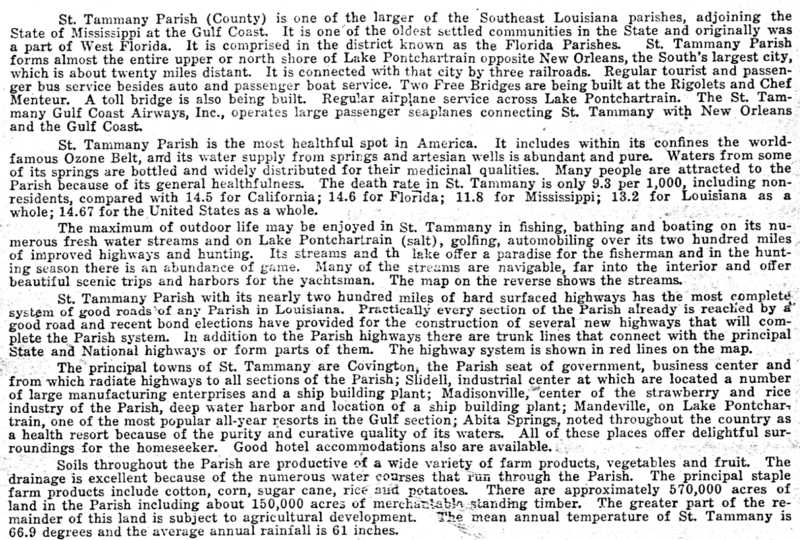 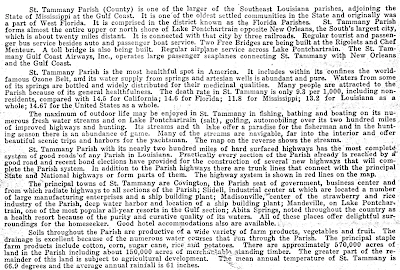 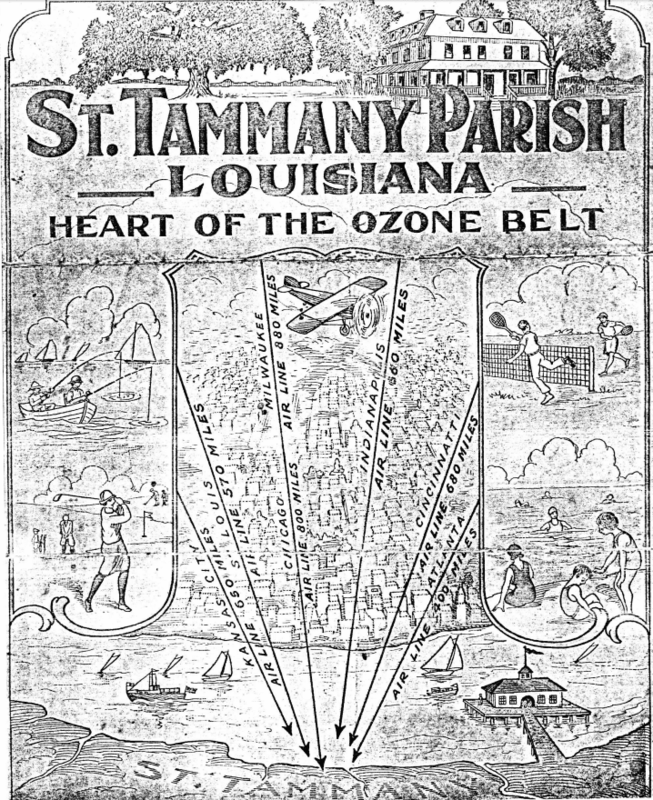 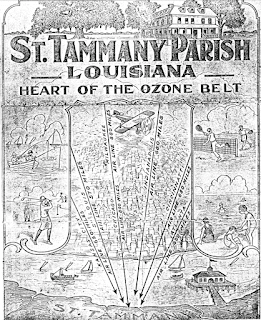 Most publications coming out of St. Tammany during that time period offered glowing reports of the region north of Lake Pontchartrain, and this one emphasized several of the most appealing attributes. 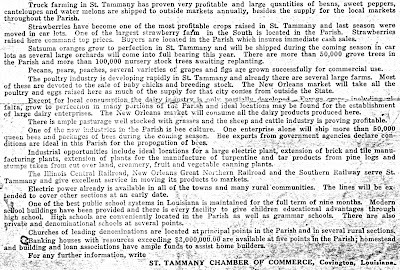 CLICK ON THE IMAGES below to see the cover and two pages of the Chamber brochure.